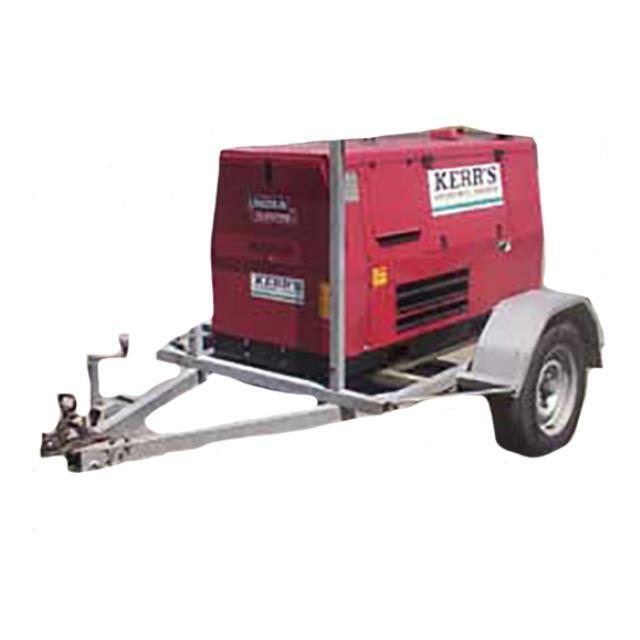 Uses: Ideal for Stick Welding in remote locations. Back up Industrial power. Features: 21 Amp output at 415v. Fuel consumption approx. 3.5lt/hr at full load. Weight approx. 750kg. Quiet operation. Earth leakage protected. 20 Amp plugs fitted. CANT BE USED FOR EVENTS.